This is the final Monday before Christmas. Are you excited or what? We always love this time of the year, but while everyone is off enjoying the family time, we stay busy, toiling away at the blog, hoping to crank out some good quality material. Speaking of which, Monday is also when we like to do that quick recap of the previous week’s top articles. So, without further adieu, here is our list. 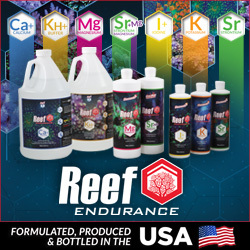 From December 14th through the 20th, we saw PetSmart get bought out, we glanced at the latest from Kessil, the Bubble King Mini is getting mini-er, Aqua SD is bringing the heat, and Love The Reef is knocking us out with amazing palys. We hope you enjoyed the articles, and as always, we’ll have another week full of aquarium hobby coverage ahead of us, so stay tuned.